I'm driving around running some errands yesterday when my cell phone rings. I see it is Mike on the screen, but I am driving so I keep my eyes on the road and let him go to voicemail. He does. Then he calls right again. Hmm. This could be interesting. I wait until I park and call him back instead of checking voicemail. "Hey. 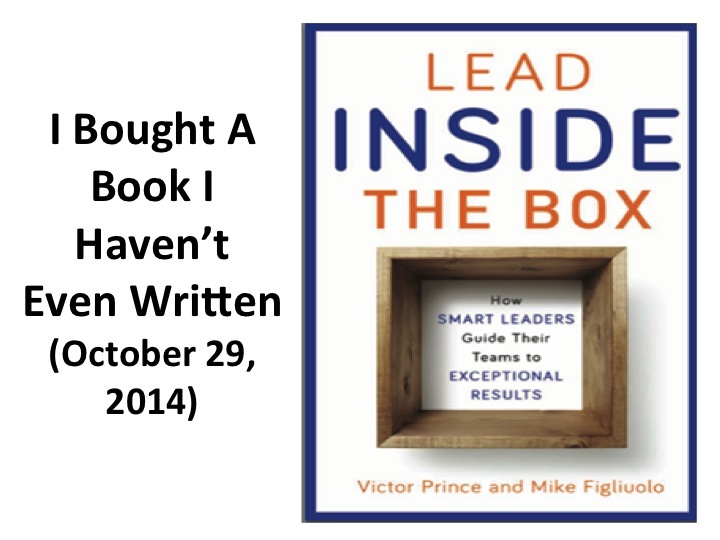 Amazon just posted our book for pre-order sale," Mike jumped right in. "You gotta do some stuff pronto." One thing I am very much looking forward to doing as a first time author is to wander into a brick and mortar Barnes and Noble store and finding my book on the shelf. Since that won't happen until the book is actually done, that is a summer 2015 thing. What I didn't think about is that online bookstores can ... and apparently do ... post the book for pre-orders as soon as they get the catalog of upcoming book releases from publishers. Apparently that quick turnaround homework that the publisher gave us right after we signed was to do the short description of the book. I really didn't think that the words I jotted down on my Mac would be up on Amazon a week or two later. This thing just got even more real. "They have an author bio page up for you but it is blank," Mike continued. "You need to post a bio and picture asap. You also need to get set up as an Amazon affiliate so you get links to that page that have a referral code embedded so you get a commission for any sales that come from your links to the book. It actually ends up being a nice little income stream, because if someone buys a copy of your book from your link and then they buy a big ticket item in that same session, you get a commission for all of it." He also told me that pre-order sales are especially important because they all roll up to count as your first week's sales, which is what can get you on bestseller lists. So if you are interested in my book, may I suggest a pre-order and maybe some jewelry to go along with it?